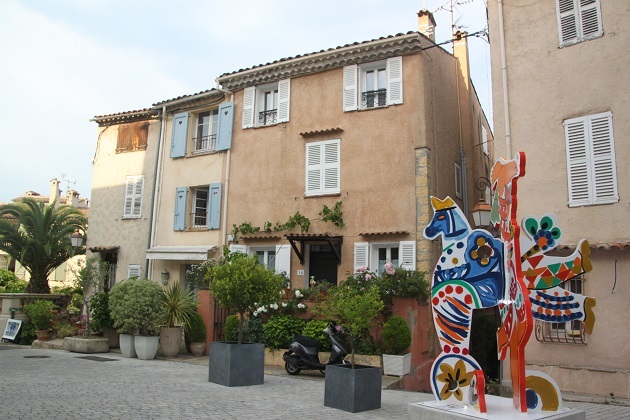 Recommended by the lady who owned our holiday apartment, we had not heard of Mougins and were surprised to find it was just five miles north of Cannes. She recommended a visit, we took the advice and found like so many other places just slightly away from the Riviera coast, it felt like a different world. We found parking at the top of the hill by the entrance to the town, lots of free parking spaces and three different car parks meant no hassles – another different experience in this neck of the woods. 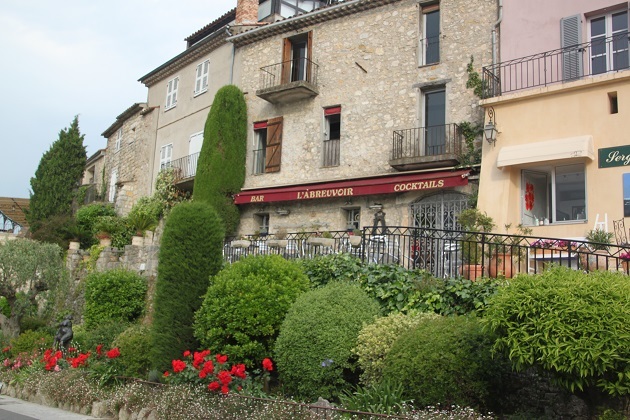 The once fortified town is on the crest of a hill and it has such a genteel and quiet charm. 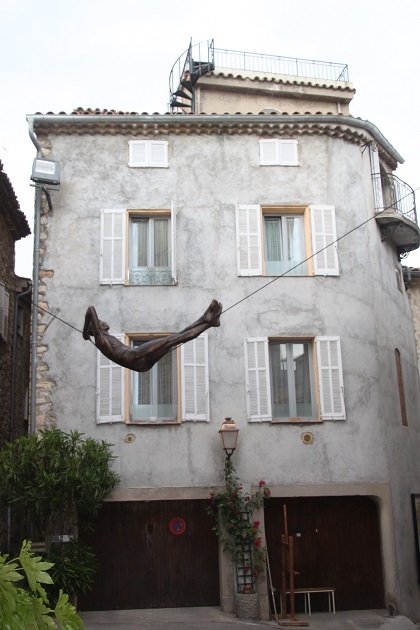 Apparently some stars choose to stay here and not Cannes for the Film Festival. I can totally see why it would appeal, close to all the frenzied excitement of Cannes but not in the middle of it. 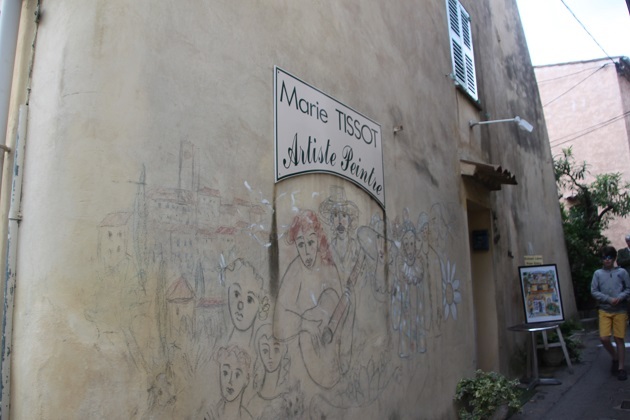 Picasso and other artists appreciated this little place. He arrived in 1936 and in time was followed by Jean Cocteau and Man Ray apparently. Picasso liked it so much he moved permanently and spent the latter part of his life here. Isadora Duncan and Christian Dior are amongst other famous one time residents. 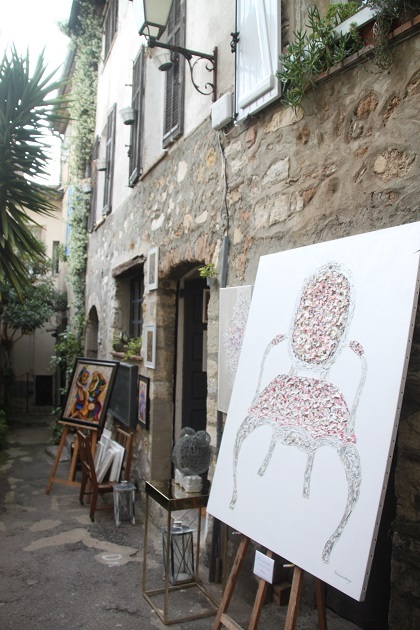 During our visit we found loads of curious artwork dotted throughout the streets. Unfortunately now gone, we loved the feeling of a giant open air art gallery. 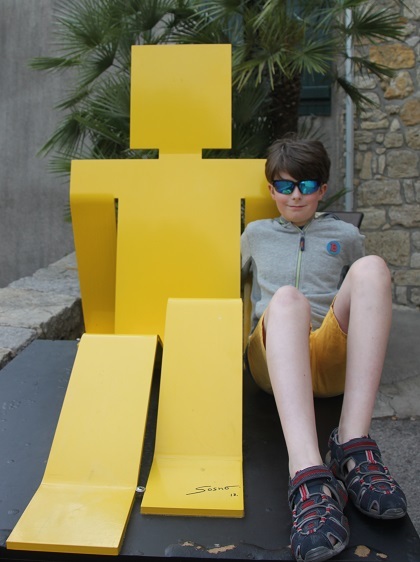 Son was very keen on the different pieces of artwork and sped about excited to see what was around the next corner – it was never disappointing. 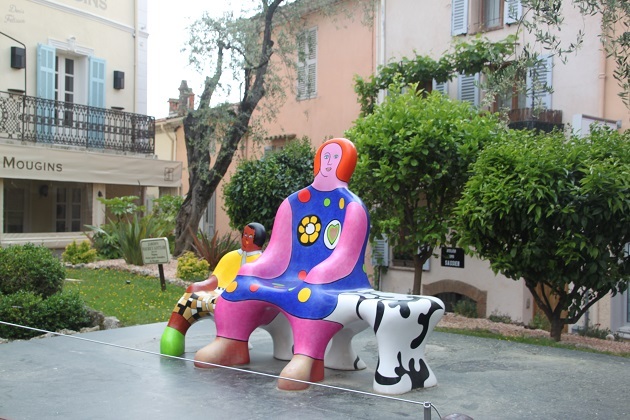 Mougins has an international reputation for its gourmet cuisine. We saw so many lovely restaurants but didn’t eat here so can’t vouch for that. Our time in this little place was just spent strolling around the tranquil maze of flower filled lanes and cobble stoned streets. Each corner seemed even prettier than the last. It was so quiet and felt like little has changed here for decades. Apparently French President Francois Hollande wined and dined his former first lady Valerie Trierweiler in one of the restaurants and then indulged his mistress in the same establishment. He must have liked it here – we definitely did. 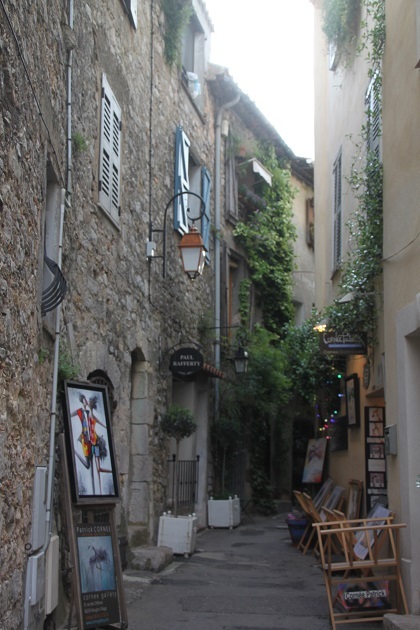 Such a pretty little village, I love wandering the narrow lanes of places like this – it looks so charming and as you say, as different world from Cannes! It was so different to Cannes yet so close in distance. 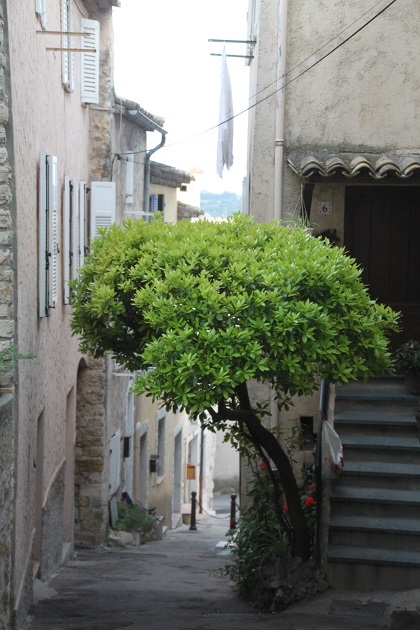 I loved it here, although I did enjoy Cannes and all the buzz I loved these little villages so much more. Those lanes, the atmosphere and the tranquil atmosphere got me every time. 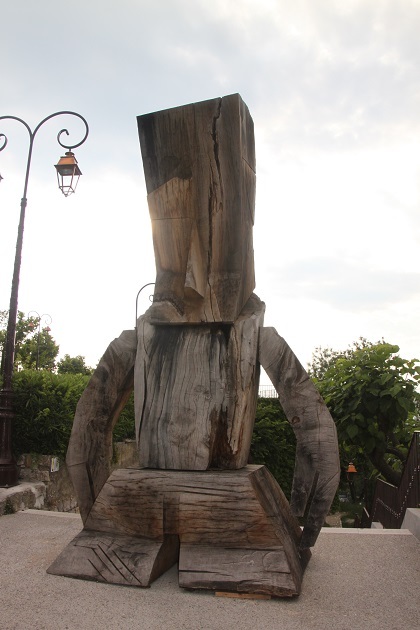 I love the sculptures, so interesting! Looks like a great place to explore! The artwork was just incredible, so vibrant and colourful and a different treat around every corner – we loved it. Definitely – colourful and quirky, I love that kind of thing. It really was stunning and having it all to ourselves was a real treat Pam. 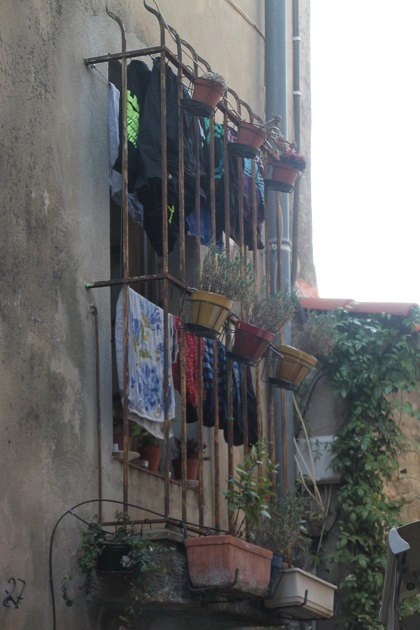 I have to admit the second photo is my favourite too – something you don’t see in England and I just love it! It looks beautiful, so picturesque and with all that wonderful public art. The artwork was incredible, we weren’t expecting it so were thrilled to find something different around every corner. The village was gorgeous anyway but this just made it extra special. Joy loves travels. And i love to followJoy for joy. My favourite is the man sleeping on a wire! Looks lovely. The sculptures are brill. Was it just a temporary exhibition then? I think it was only on for a short time, they’re definitely gone now so I’m pleased we got to see it. It is! Just a really gorgeous village. It really was – so pretty and so lovely to wander around. Such a lovely little town. It is so beautiful Terry, perfect for strolling with a lovely surprise around every corner. I loved this little place and remember with pleasure the delightful meals we had there. 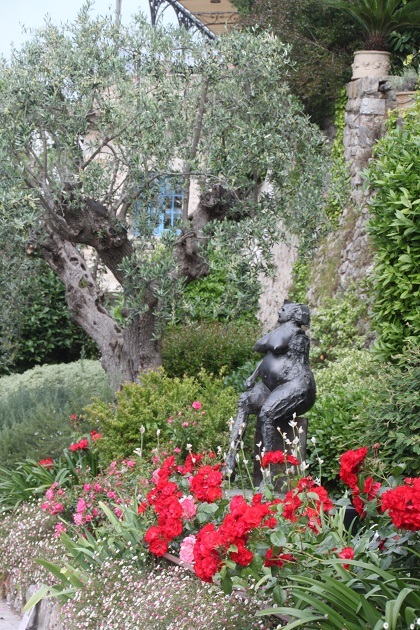 It was in Mougins I began drinking rose again! I bet it was very good rose too!! It was just a world away from all the hustle and bustle of Cannes Rosemary yet no distance at all in miles. We loved it, I can definitely see the attraction too – on top of that it is absolutely gorgeous. 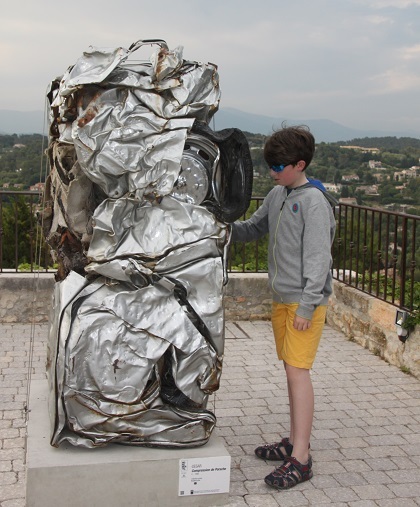 The art sculptures were incredible, unfortunately only there temporarily but Mougins would be a gorgeous place to visit anyway. Back to school today for our son (reluctantly) – getting up early for the first time in forever was really not easy!! Hope you’ve recovered from the babysitting – although I bet it was a lot of fun! I’ve never heard about that place before ! Lots of interesting sculptures and it seems that people were also selling paintings ! It looks so quiet, not too many tourists I suppose. It was deserted when we were there, no tourists at all, compared to some of the villages in this area it is a real relief! Plenty of artists studios all over the place too, it’s really gorgeous. Did you visit the @MACM – the classical art museum too? 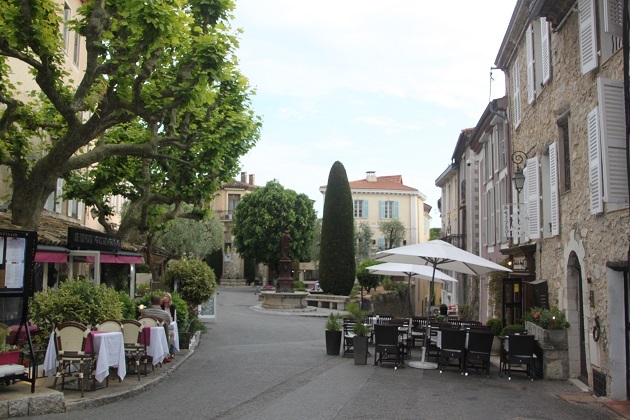 Next time, come and say hi to us at Le Mas Candille; just a few minutes stroll from the centre of the village. 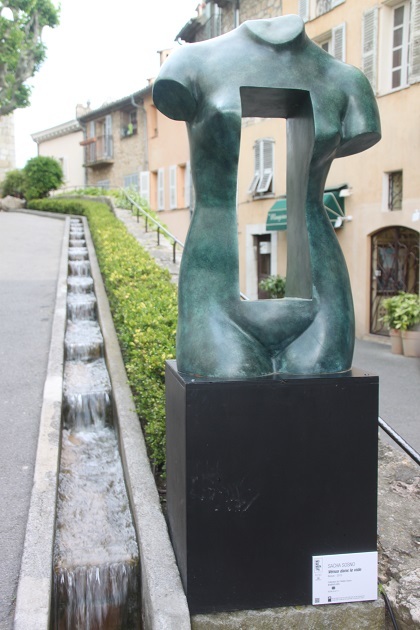 Thank you Tina – we loved our little visit to Mougins and thought the art was incredible. We didn’t have time to visit the art museum unfortunately but it’s a great excuse to go back to a gorgeous place!! Thank you for the invite too – we might see you someday!